Last month, my friend Camilla and I had the privilege of going to see Wonderwool, the wool festival at the Showground near us. It really was wonderful! I love atrisanal creations, especially things made with care and which are unique to the creator. 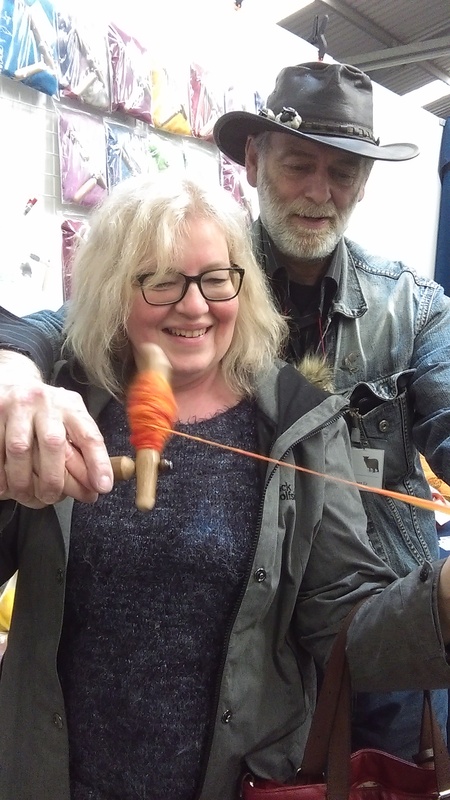 Wonderwool, where spinners, knitters, weavers and all manner and method of wool wizards come to show their ware, was particularly pleasing for Camilla and me, for this reason. We moved from stall after stall and were overwhelmed by the variety and dedication on display. Wonderwool, which is now in it’s tenth year, took place on the 23-24th April. We’ll be waiting eagerly for the dates of the 2017 event! Exhibitors came from all over the world to show their skill. We were particularly interested by the spinners, who take dyed yarn and spin it into wool. Here was our favourite, from the Netherlands, teaching Camilla his technique. Everyone was dedicated to their craft, most wearing their own creations – some people wore several at once! We saw high-fashion alongside all-natural processes, the latest electric colours, jumpers, duvets, even a new type of spinning wheel, designed for portability. 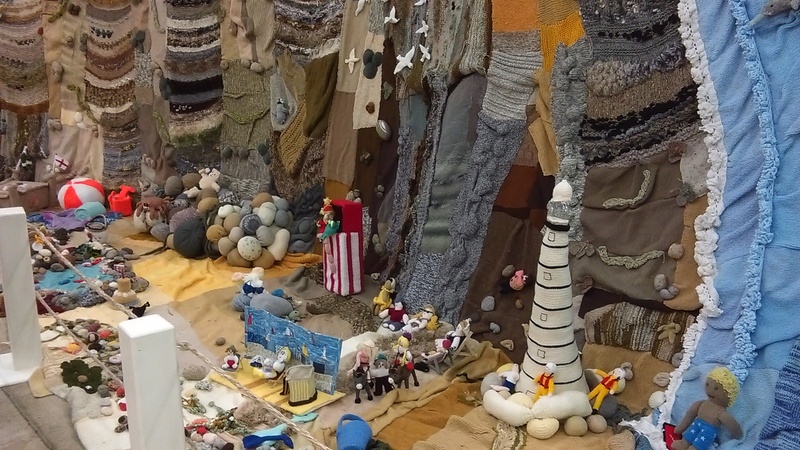 Many people really took their craft to the to the next level, one exhibitor created a seaside walk, complete with a walk in a cave and beach scene, all from wool, with the proceeds going to Macmillan Cancer Care. We are definitely going to Wonderwool next year, we can’t stay away from this happy and colourful show. You should definitely come, too.